Never mind it’s thicker than most cables widely sold because a good cable is meant to be thick. 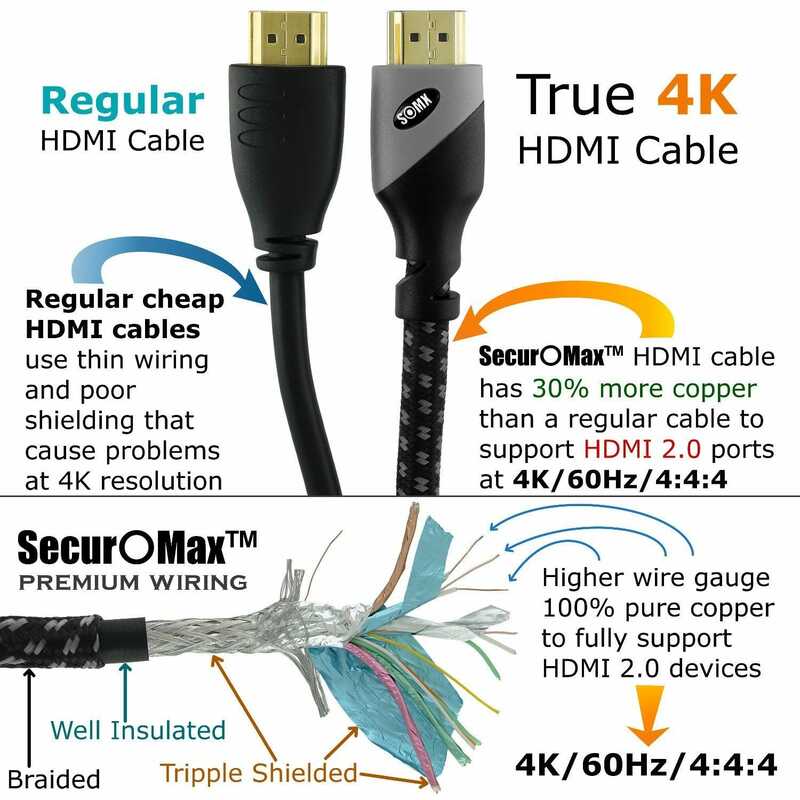 Most 3 FT cables use cheap & thin 32 AWG wiring (10 GBPS), which is not enough for 4K @ 60 Hz. 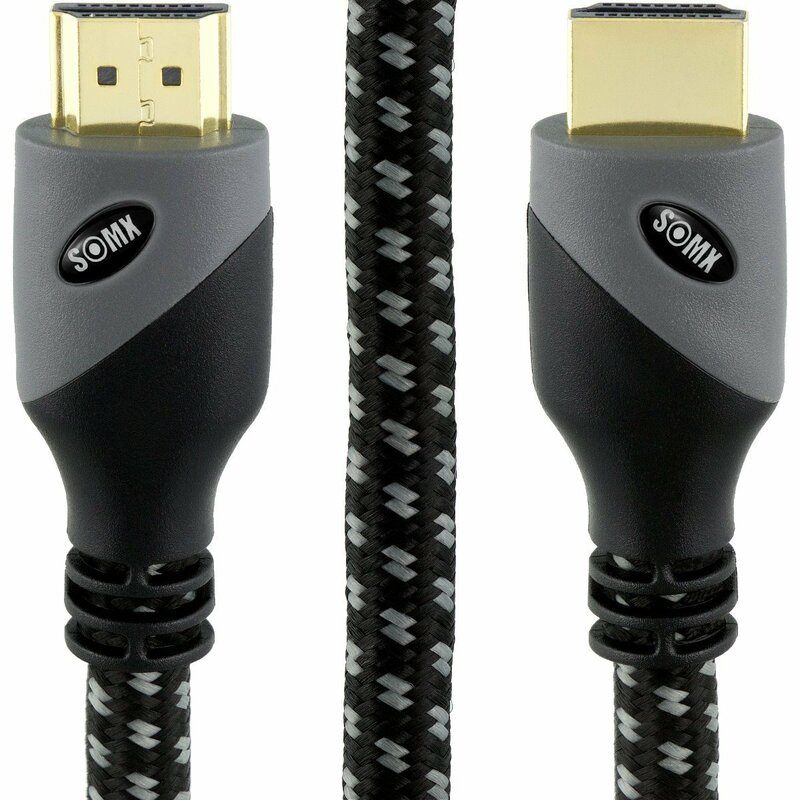 SecurOMax 3 FT cable uses thicker 28 AWG wiring which enables 18 GBPS speed required for 4K @ 60 Hz. *** Top refresh rates are for HDMI 2.0 – HDMI 2.0 link only!